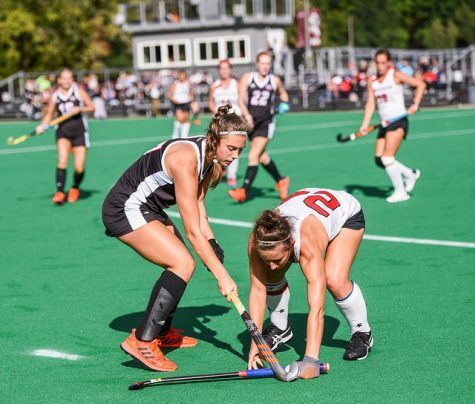 The Massachusetts field hockey team lost to Syracuse, 2-0, dropping its record to 2-8 on the season, while extending its losing streak to five games as it currently sits on the bottom of the Atlantic 10 standings. The Minutewomen can put all that behind them. 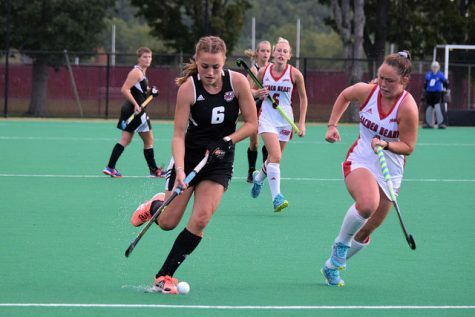 A-10 play begins this weekend for UMass as they travel to Lock Haven to kick off their conference schedule. The conference schedule is when the Minutewomen have been known to thrive over the years. 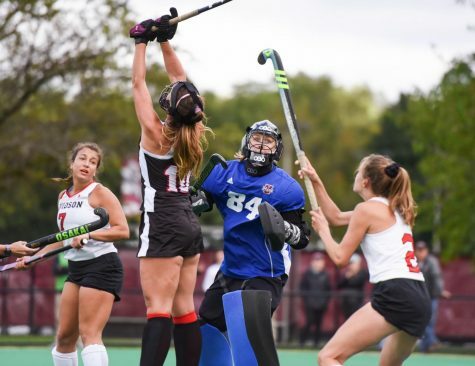 Seven teams make up the A-10 conference: UMass, Lock Haven, Richmond, La Salle, Saint Joseph’s, Saint Louis and Temple. The top four teams make the conference tournament and the conference tournament winner gets an automatic bid to the NCAA tournament. 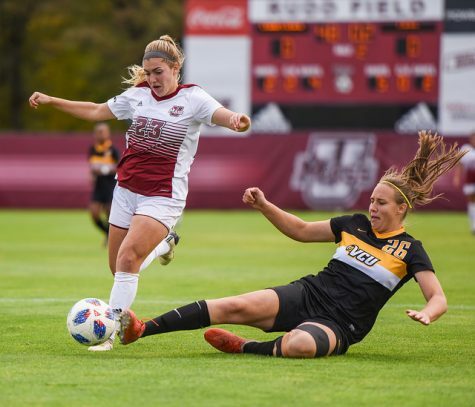 The Minutewomen have 12 A-10 titles to their name, more than all of the other schools in the conference combined. 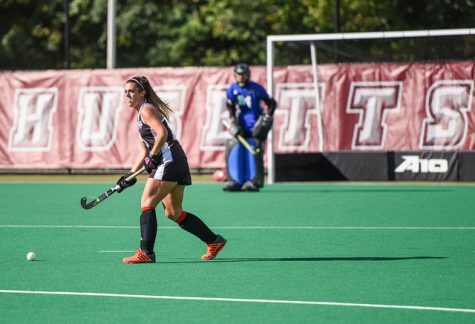 Also, they have racked up three in the last four years under the reigns of then-UMass coach Justine Sowry. UMass has made the conference tournament every year since 2007, earning No. 1 seeds in 2008 and 2010. In her first year at the helm of the Minutewomen, coach Carla Tagliente looks to continue that winning tradition. 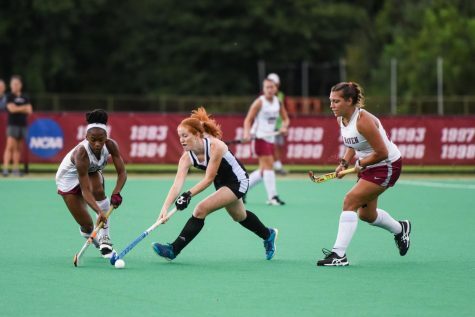 Saturday’s game against Lock Haven is a rematch of the 2010 A-10 Championship game which UMass won, 2-0. The Bald Eagles have scored 34 goals in 14 games, as their record stands at an even 7-7, good for second in the conference. However, LHU is just 2-4 at home. Leslie Ahern and Kristi Shepps are the two brightest spots on the roster, as Ahern leads the team in goals and assists with 11 and eight, respectively, while Shepps is second in those categories with 10 and seven. 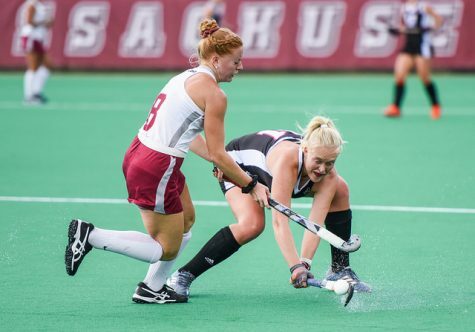 On Sunday, UMass faces off with non-conference foe No. 16 Albany before the rest of their conference schedule begins. The Minutewomen will then host Saint Joseph’s Oct. 14, following a four-game road trip. Currently 3-6, the Hawks are led by Ellen Rowe with six goals. Last season marked the first time in four years the Hawks failed to make the conference tournament. That same weekend, the Minutewomen will travel to Saint Louis. 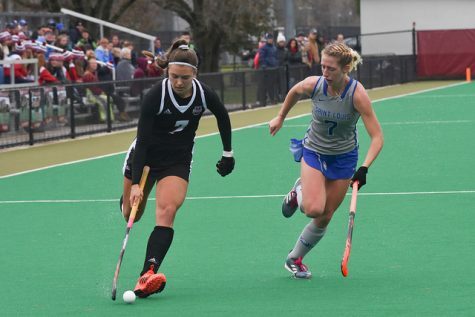 At 3-8 and just 15 goals scored, the Billikens have one of the weakest offenses in the conference. They have also been outshot 220-82, allowing 44 goals. Lexie Lindblad leads the team in scoring with four goals. Despite the statistics, St. Louis is already improving on last year’s winless season. 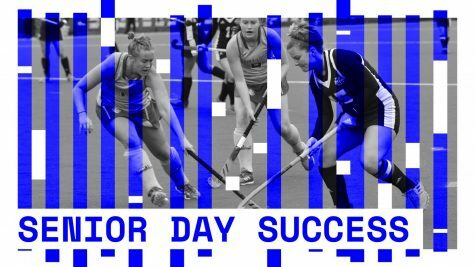 The following weekend the Minutewomen host La Salle. The Explorers sit at 4-7 with a 3-4 record on the road. La Salle has more shots and corner penalties than opponents, and trail in goals by just one with 22. Maddy Tettelblach leads the team with five goals on just 17 shots. The final two games of conference play are against the other powerhouses of the A-10, Temple and Richmond. While the Minutewomen have made the postseason every year since 2007, so have the Owls and the Spiders. UMass takes on the Owls on Oct. 23. Temple, like UMass, plays a very tough non-confernce schedule, as they sit in second-to-last in the conference currently, with a 3-9 record. The Owls have only amassed 18 goals this year, with Bridget Settles accounting for 10 of them. Day. Richmond was the last team to capture the No. 1 seed from the Minutewomen, doing so in 2009. The Spiders currently sit at 6-5, the only team in the A-10 with a winning record. The Spiders have outscored opponents, 21-16, led by Katelin Peterson with five goals. UMass closes the season with one final game at Providence. Since 2007, the Minutewomen hold a regular season conference record of 22-4, and went 7-0 last season against A-10 opponents. 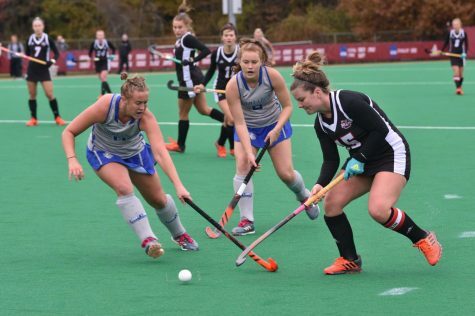 The A-10 conference tournament is held on Nov. 4-5 this year at Saint Joseph’s University. Michael Counos can be reached at [email protected].